Do you like fish? We do. We like fishing and eating what we catch. 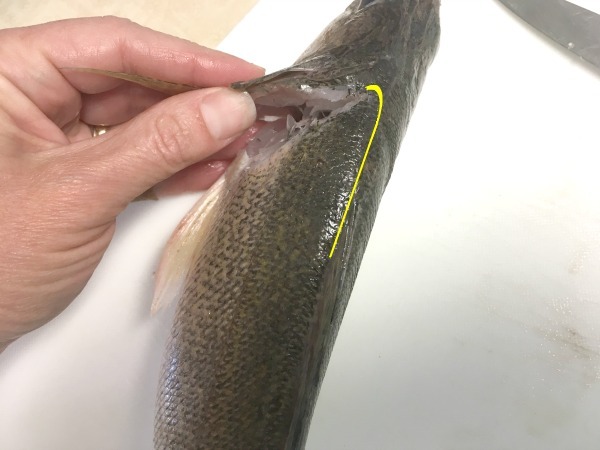 Most times we are just fishing for lake or river trout, which we don’t filet, but sometimes we get fish that are bigger or hard scaled, and those are perfect for fileting! This filet method works great on a variety of fish like bass, walleye, striper, and even panfish like crappie, sunfish, and bluegill. The photos show the fileting of a walleye, and the video at the bottom is the same process on a crappie. 1. 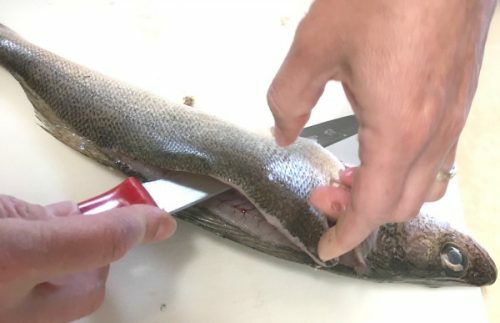 Wash the fish and lay it out on your cutting board. 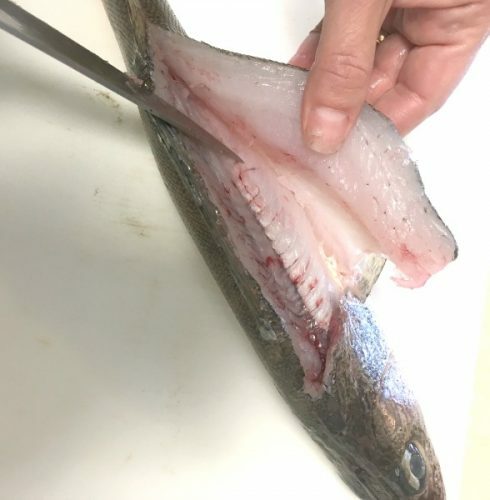 The first cut will be behind the gill plate which is the bony part of the fish that the gills lay on when they’re closed. 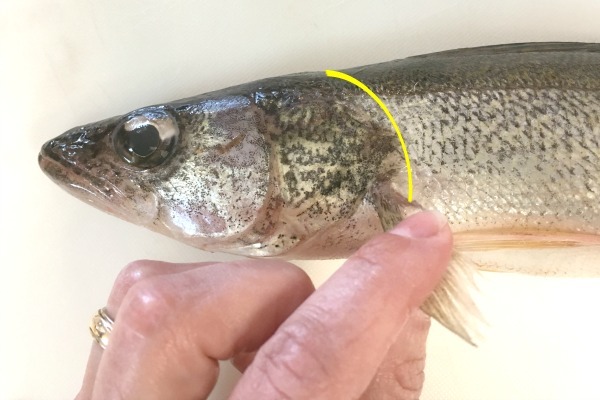 Cut the curve illustrated by the yellow line all the way from the spine to the bottom of the fish, going behind the lower fins. This cut should be clear of any guts, but for all cuts, we just want to go to bone level, not cut through bone or into the gut sack. 2. Curve the cut around so you’re cutting parallel to the spine along the bones. 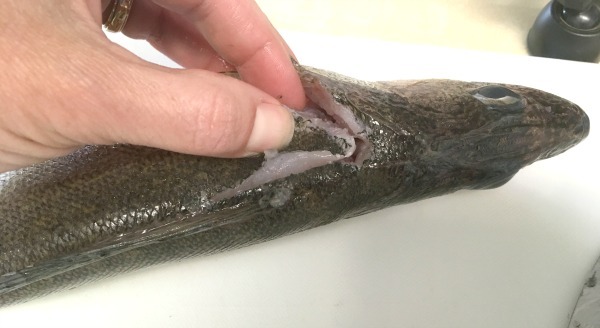 Using the spine as resistance, cut along the spine to the depth of the ribcage about 2/3 of the length of the fish. You just want to get to the end of the ribs. 3. Cut over the ribs. The ribs get pretty close to the skin, so this gets a little thin in some places. 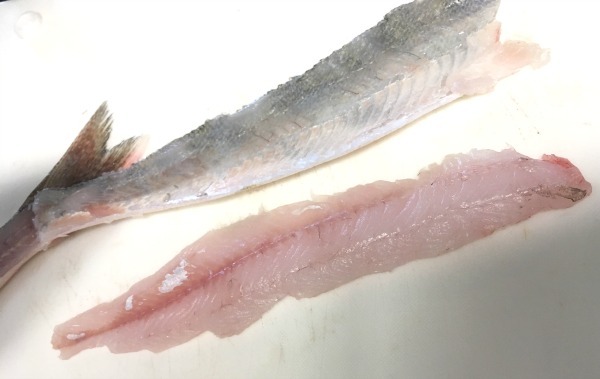 Some fish, like bass and even this walleye, don’t have much meat below the ribcage, so taking this cut all the way to the belly is optional. 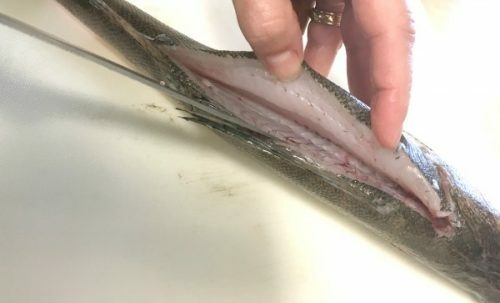 Others like crappie, have a nice little piece of meat below the ribs so you’ll want to cut all the way down to catch that. 4. Once all the meat is released from the ribs, slide the knife in and use the skeleton for resistance to cut the meat from the bones the rest of the way to the tail. DO NOT cut all the way through the tail! 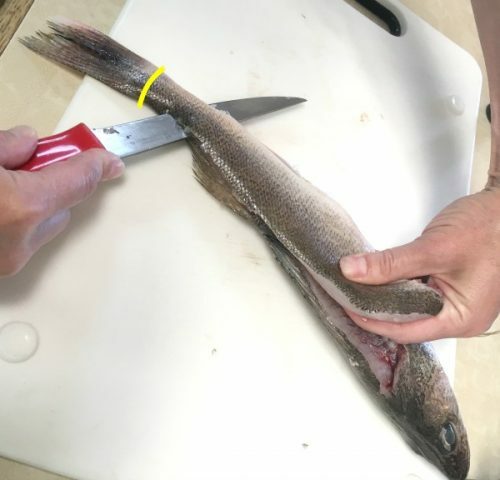 Leave the fish attached to itself at the end–we’ll use it to help hold the fish still for the next step. 5. Flip the meat open, away from the bones. Starting at the tail end, use the skin as resistance to cut the meat from the skin. Separate until you get all the meat off. Yay! 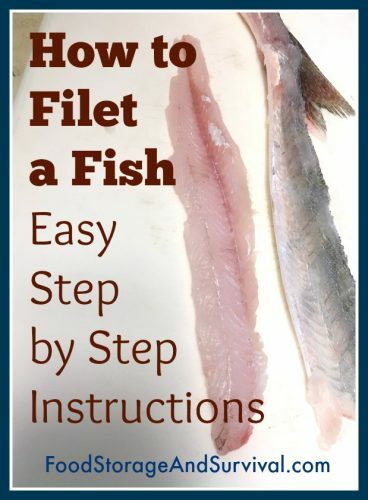 You made a fish filet! 6. I always check right where the meat hit the ribs for bones and trim them off if necessary. 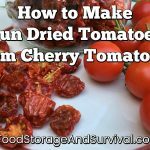 This filet can be cut into smaller pieces if desired and is ready to fry in your favorite breading or cook however you like. Happy fish eating! 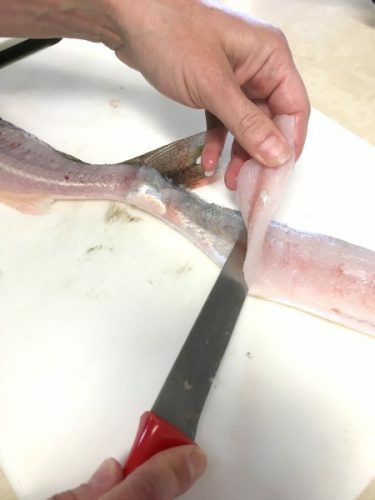 Filleting can at times be time consuming yet worth doing!